March | 2014 | What happens now? Having worked for years in a professional world before I came out as a peer, I know it can feel so profoundly demeaning when even genuinely compassionate people talk about us as if we were a separate species. At the same time, when I’m offering recovery-oriented ideas to grad students and interns in my role as a psychologist, sometimes one will be honest enough to say, “I’m afraid if I do anything unconventional, I’ll be sued or fired.” I think many professionals realize the need for change but fear they must do exactly what they were taught, or risk being held responsible for anything that goes wrong in the lives of the people they are trying to help. 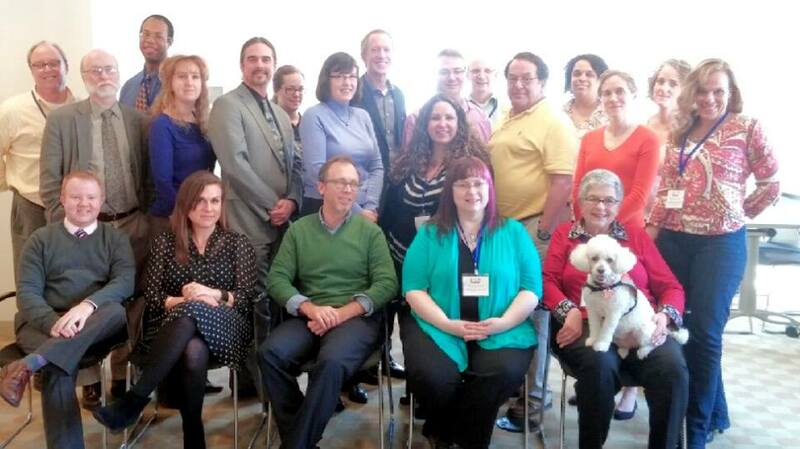 Last week, a national task force of suicide attempt survivors met for a groundbreaking summit. Within weeks, we’ll release a smart report on the kinds of support, and the changes, we’d like to see. Also at the table were a handful of allies, all of them playing national roles in the suicide awareness field. “I can’t say how glad I am to no longer be the only voice of attempt survivors,” said DeQuincy Lezine, a psychologist and author who’s been “out” for nearly two decades. Now it’s a growing movement, with murmurs of starting a national, or international, organization of our own.